What has been the industrial agriculture companies’ response to weeds’ resistance to glyphosate/Round Up? Bring out the bigger hammer: 2,4-D! If you are of a certain age, you may recall hearing about 2,4-D being the active element of Agent Orange, used during the Vietnam war to defoliate the jungle. It is highly toxic to all broad-leafed plants and to most insects, including the honeybee, as well as being a suspected human carcinogen. While GMO plants are resistant to the effects of the herbicide, they are not resistant to absorbing it, as does any other plant. The minutes of the meeting are available at http://www.pmg.org.za/report/20140226-dow-chemicals-gm-maize-variety-das-402 . 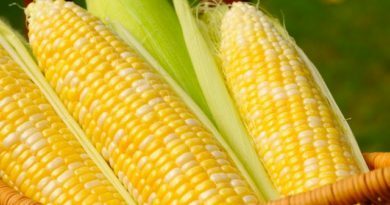 Many South Africans have supported the ACB’s effort to secure public Parliamentary hearings on GMOs – to assess and overhaul our GMO permitting procedure, to debate the broader implications of GMOs in South Africa and to revoke the approval for import of “Agent Orange” (2,4-D resistant) maize into South Africa. The ACB, with their support, has been working on this since 2012 and are making slow but steady progress. In August 2012, the ACB submitted a petition to the National Assembly to revoke a permit issued for the import of “Agent Orange” maize for food and feed into South Africa. Signatories on the petition exceeded 9000 and it was also supported by 18 health professionals and 22 organisations. The petition was championed in Parliament by the African Christian Democratic Party (ACDP). After persisting and pressurising for a full year, the first round of hearings was finally held on the 13th of September 2013. This briefing was held jointly by the Portfolio Committee on Agriculture and the Portfolio Committee on Health to address parliamentarians on the current status of GMOs and GM regulation in South Africa. It was open for public attendance but no public comments were allowed. The second round of hearings was held on the 26th of February 2014. Haidee Swanby and Gareth Jones of the ACB attended and made presentations. The programme agenda was changed at very short notice to include Hans Lombard, PR consultant to the Biotech Industry. He brought along two scientists from AfricaBio and Biosafety South Africa, the US embassy attaché and a “small-holder farmer”(she farms on 500 hectares! ), none of which were listed on the programme. The time allocated to ACB was cut short to accomodate these additional presentations. This resulted in a terribly unequal hearing, given that many scientists, farmers, backyard producers and consumers who supported the petition were not heard. The ACB will do everything they can to keep up the pressure and push for another urgent public hearing that is open and transparent. Given that the Chair has committed to one more hearing on the issue, they say they will certainly hold him to it. Read more about ACB here. ← Label GMOs and Stop SA Consumers from being Bullied! Beyond #Foodporn: How do we get readers to care as much about what they read as what they eat?